Do I need to have a Work Permit to buy health insurance in Thailand? If I get health insurance and don’t really have a Work Permit can the insurance company refuse to pay my claim? The answer to those two questions dependent on what kind of company you are getting your health coverage from, a Life Insurance company or a General Insurance company. They are both regulated by an entirely different set of rules and require agents to pass separate tests pertaining to these rules. The primary focus of a Life Insurance company is on providing financial security by building cash savings and/or providing financial security for loved ones. 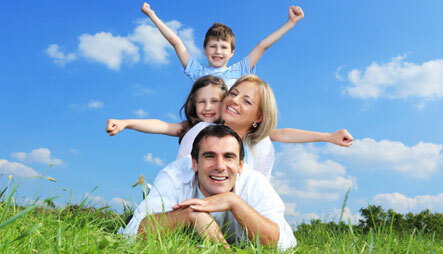 Therefore, life insurance is regulated by the government as a financial product. This is why having a Work Permit is required. Health insurance purchased as a rider on a life insurance policy is only purchased as an optional accessory and has nothing to do with whether you have a Work Permit or not. All insurance not regulated as Life Insurance by the Office of Insurance Commission (OIC) is regulated by them under the category of General Insurance. All health insurance companies registered in Thailand are regulated by the OIC under the category of General Insurance. Does the government require buyers of health insurance policies to have a Work Permit? The answer to that question is, “No! No! No! A thousand times, No!” (Sorry…I get asked about this often). The work permit myth got started because of AIA, a life insurance company. They have a very strong marketing organization. They sell health insurance as a rider on life insurance. Since life insurance is a financial product, you are required to have a work permit to buy it. Health insurance coverage not sold as riders to life insurance policies don’t have that requirement in any way, shape or form. All that they require is that you reside in Thailand. Nobody even checks to see if you have a visa. But, they do require personal ID, such as the ID page of your passport – Or, Thai ID. Nothing else, though. Whether or not you even have a visa is strictly between you and Thai Immigration. If you get health insurance and don’t really have a Work Permit don’t worry about it. If an insurance company really wants you to have a WP, they will require you to show it to them when you apply for the insurance.